Create memories for years to come with these sparkling glass pottery decorations. Charming & handmade glass ornaments in popular shapes for Christmas and holidays year round. Everyone knows the excitement of unpacking seasonal decorations or Christmas ornaments at holiday time, as a child, we all had our cherished & favorite ornament that reminded us of holidays past. 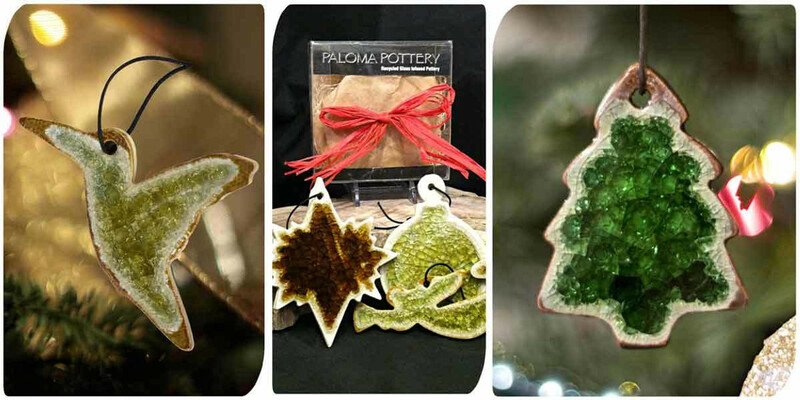 At Paloma, we bring you these charming & handcrafted glass ornaments that will create holiday memories for years to come. Symbolic ornaments and unique recycled gifts for the holidays and festive occasions throughout the year. Whether you choose a whimsical or wild animal shape, the classic north star, the hand-carved Eiffel Tower, a musical blue note or a snow-dusted dove, you are sure to love way the glass sparkles in the light - and you'll know that each piece is memorable & unique.